In this unit you will learn three more notes, eighth-note rhythms and two more time signatures. We will continue to follow the same procedure in which you learn symbols and then sight-read them in the Let’s Play section below. Let’s begin! ‘E’ is in the top space of the staff. It is played as the first string open. ‘G’ is on the second line of the staff. It is played as the third string open. ‘A’ is on the leger second line. It is played as the fifth string open. To remember the pitch A, imagine two diagonal lines that touch at the top and run tangentially along the note head. Notice how it makes an upper case letter A. An eighth note sustains for half of a beat. The eighth note can be written in two ways: either with a beam or a flag. When eighth notes are grouped, each note consists of a note head that is filled in, a stem and a beam. 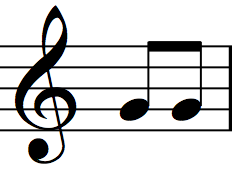 Notice that the beam connects two eighth notes. When eighth notes are not grouped each note contains a flag(instead of a beam). The eighth rest creates silence for half of a beat. It consists of a diagonal line with a small flag. 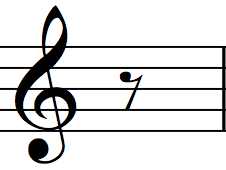 The first half of the beat receives a number that represents the beat’s placement in the measure. 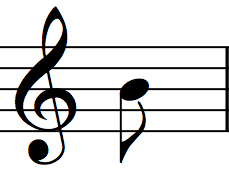 The second half of the beat receives the word and (represented by the symbol &). 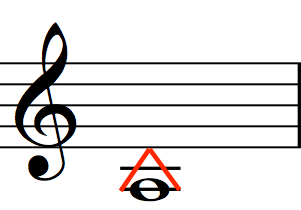 Whenever music contains eighth-note rhythms I suggest you count with ‘&’ throughout the entire piece, even when you encounter quarter, half and whole-note rhythms. This will help you maintain a steady beat. The 2/4 time signature = 2 x 1/4 notes per measure. In other words, there are 2 quarter notes per measure. 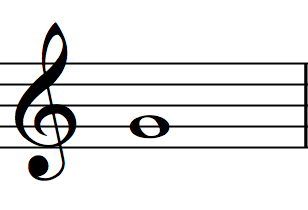 When measures contain two beat groupings, musicians refer to the music as being in duple meter. It is important to allow yourself to feel the groupings of twos and accent certain sounds accordingly. The 3/4 time signature = 3 x 1/4 notes per measure. In other words, there are 3 quarter notes per measure. 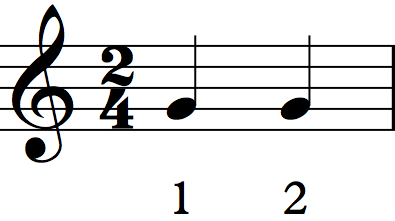 When measures contain three beat groupings, musicians refer to the music as being in triple meter. It is important to allow yourself to feel the groupings of threes and accent certain sounds accordingly. By the way, 4/4 time is considered quadruple meter because the measures contain four beat groupings. A recent study suggests that sight-reading improves when musicians focus on the feel of the meter, instead of individual beats. To play with the feel of the meter, start by emphasizing the first beat of each measure more than the others. For the last few decades, music educators have studied a phenomenon called chunking. Chunking is when musicians visually perceive patterns rather than individual notes. It turns out that skilled sight-readers chunk. You all chunk when you read words. Most of you see the letters d-o-g and immediately say dog. This is an example of chunking. But, remember what it was like when you had to sound out each individual letter: dee-oh-gee? That is pre-chunking. The exercises under the heading Let’s Play Patterns are designed to help you process individual notes into patterns as quickly as possible. It is important to trust your instincts. I would rather you attempt to play a pattern and make mistakes than to not try at all. The next exercise will have a two beat count-in because there is a 2/4 time signature at the beginning of the score. 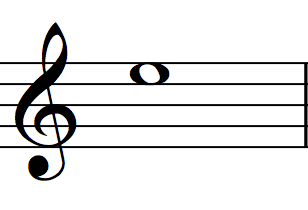 Since the smallest rhythmic value in Ex. 2.3 is an eighth note, you need to count 1&2&. From now on, please remember that the count-in always corresponds with the time signature. The next two exercises will have a three beat count-in because there is a 3/4 time signature at the beginning of the each score. Since the smallest rhythmic value in Ex. 2.4 is a quarter note, you simply need to count 123. However, since the smallest rhythmic value in Ex. 2.5 is an eighth note, you need to count 1&2&3&. The Let’s Play Patterns category will help you develop the ability to chunk. The exercises in this category are presented as guitar duets. The exercises in this series are progressive and cumulative. They contain information you learned in this unit as well as previous units. As a result, you may need to review the symbols you learned in Unit 1.